Yesterday, moms all over the United States were showered with flowers, chocolate, and handmade gifts only a mother could love. In the age of social media and “pics or it didn’t happen” our Instagrams were full of friends and our favorite celebrities saying thanks to the mothers in their lives. From adorable family photos to amazing and hilarious candids, it’s safe to say that when it comes to family, celebrities are just like us. Jessica Alba posted a cute pic with her mom before posting a family photo from her Mother’s Day party. Justin Timberlake wrote a heartfelt message to Jessica Biel. Sophia Bush shared a heart-melting message to her mom, complete with a bath-time throwback. Katie Holmes posted two rare photos with daughter Suri to celebrate the holiday. Drew Barrymore took the time to thank ex-husband Will Kopelman for his coparenting. John Legend celebrated the three most important mothers in his life, wife Chrissy Teigen, his mother, and Teigen’s mother. Michelle Obama took to Twitter to thank her mother for her love and support. Meanwhile, former president Barack Obama took to Twitter to share his love for Michelle. 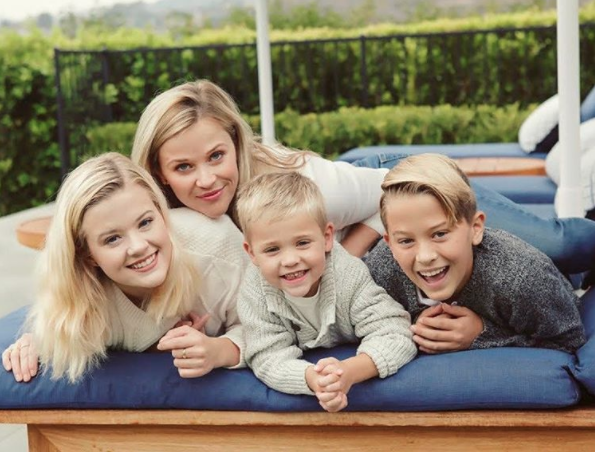 Reese Witherspoon shared an adorable photo with her three kids. Chris Pratt gave wife Anna Faris and his mom shoutouts in Mother’s Day Instagram posts. TODAY cohost Hoda Kotb celebrated her first Mother’s Day as a mom, after adopting Haley Joy earlier this year. Lily Collins posted a cute throwback with her mom. Finally, Elton John posted a photo for his mom, with whom he recently reunited with after nearly a decade of estrangement. We love these adorable celebrations of the moms in our lives!